If you know me well, you know I’m a huge Manhattan Transfer fan. Huge. Since I was twelve. I stopped officially counting how many concerts I’ve been to after 50, and that was years ago. As a twelve year old, I guess you could say the four members of this group were, to me, like the Beatles. I had every album, knew every word to every song, had pictures up in my room, etc. I loved every member of the group, and of course looked up to them. 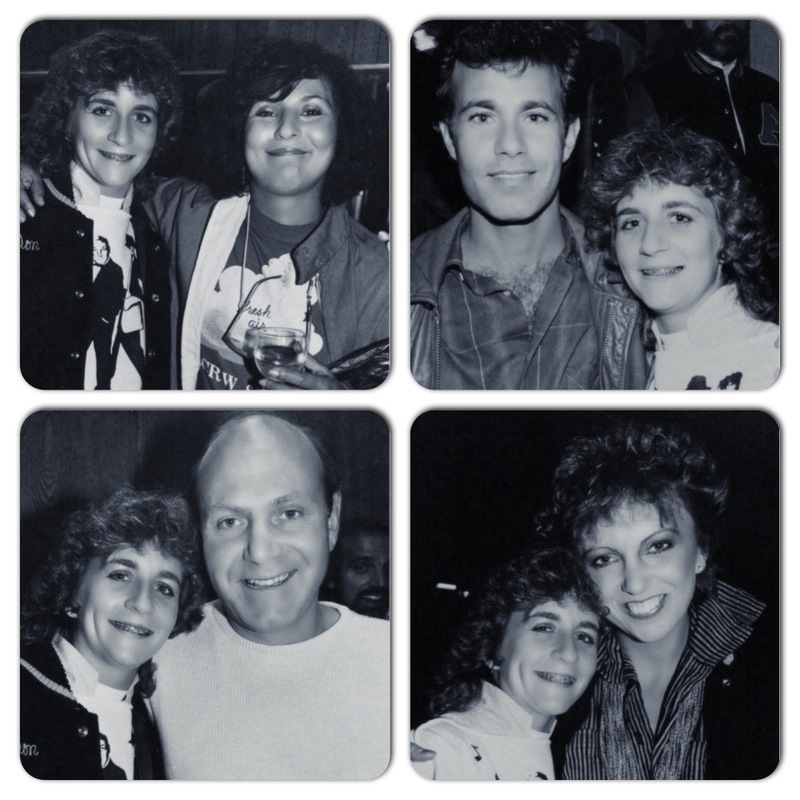 Me, at age 16, with each member of The Manhattan Transfer. Now that I’m 47, not much has changed, except for maybe not knowing EVERY word… I’ve matured, they’ve matured, and although still together they’ve each branched out to do solo albums and assorted collaborations…. 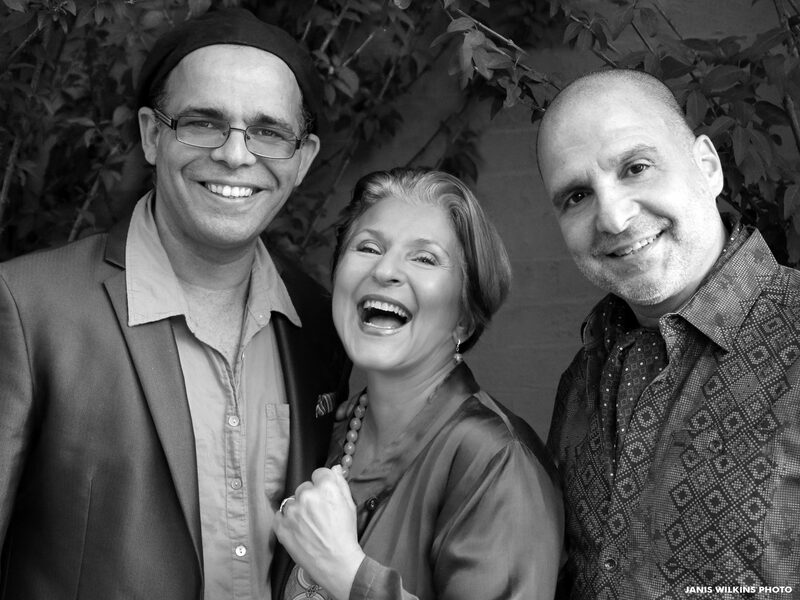 Well, Janis Siegel is branching out yet again with a new collaboration: The Requinte Trio. My Mom never liked going to the doctor. She had a horrible cough. For years. “Go to the doctor!” I’d scream. “Yeah, yeah” was her response. At age 73 she was still working full time… One morning in May of 2012, she said to me “I think I need to go to the ER”… Um, what? Okay…. Stage Four Ovarian cancer. Ten days later, May 16th, two days after Mothers Day, she was gone. So when I read the “perks” of the Gold Participant, and it included such things as “a vinyl listening session and a food/walking tour of the West Village NYC tour with Janis Siegel”… Brass Ring. The Gold. An amazing new Human Experience. There’s no day but today, my friends… You can save up your money for that shiny, new Escalade, or you can spend it on an amazing Human Experience, one you CAN take with you. 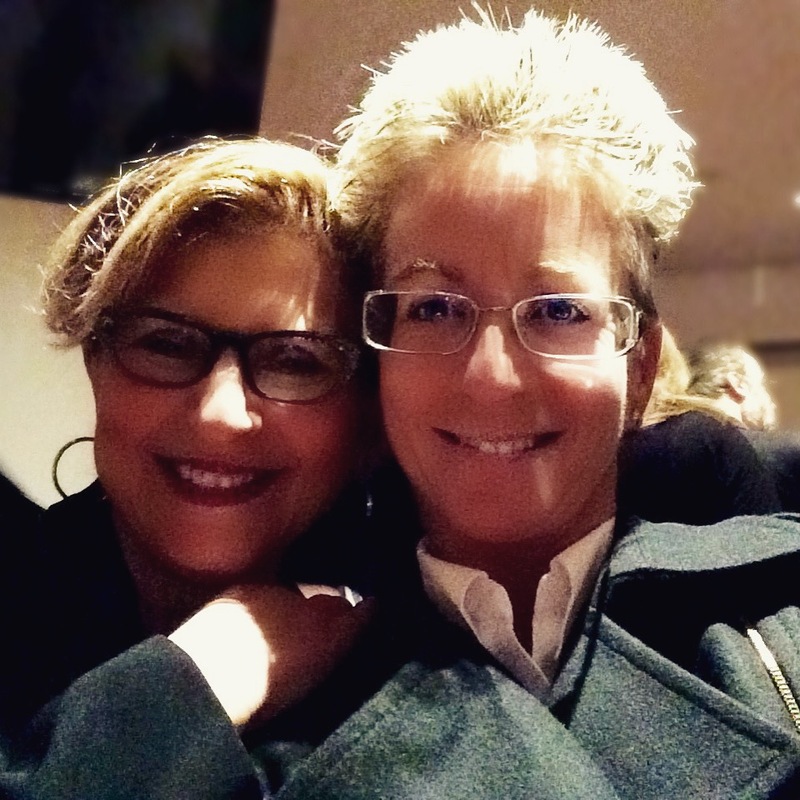 Join me and The Requinte Trio Project and be a part of an amazing new journey, or find something else that you really love and have been putting off for that “someday”, and do it NOW. Live in the NOW. Create your own outstanding Human Experience. 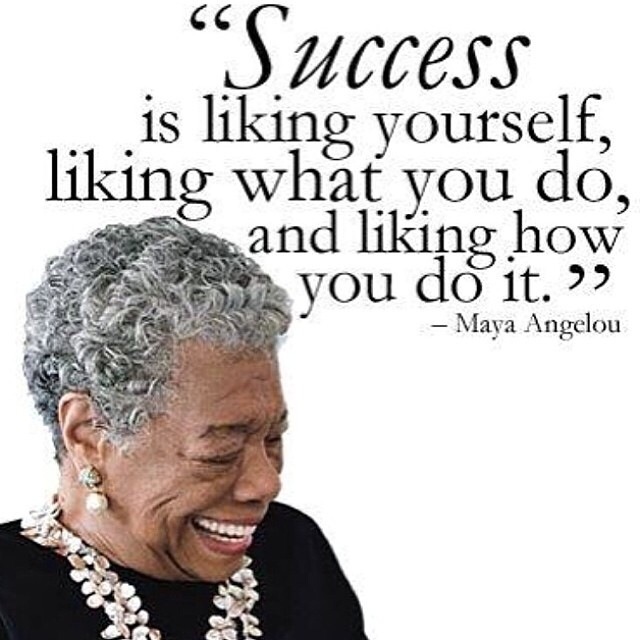 How do you define success?? The world has lost an amazing man today. The world has lost an amazing man today. 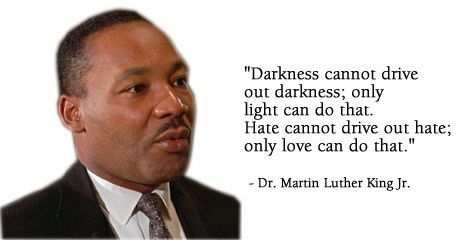 The words, lessons, and messages he taught will live on forever. He will forever be a hero to many world wide. 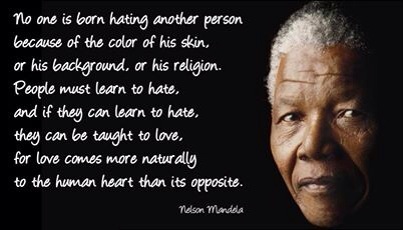 Rest in peace Nelson Mandela. 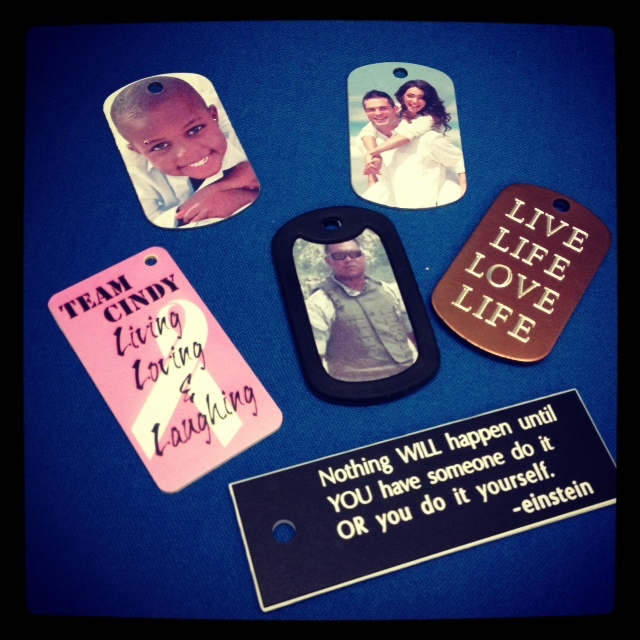 Give a custom engraved or sublimated gift from the heart this holiday season! As the holiday season approaches, shopping mode is in full swing! Many people are trying to get their holiday shopping done early this year. I have most of mine done already! A personalized gift from the heart can mean more than the newest, most expensive gadget on the market! One great gift idea, a fun personalized award for your loved one, friend, or coworker! It can be sweet and sincere or sarcastic and funny! Here at Tag UR It! inc., we can custom make anyrecognition award you can imagine! Our 4″x6″ sublimated plaque is only $14.50!! Include photos, quotes, and any other info you would like! Here are some award ideas! 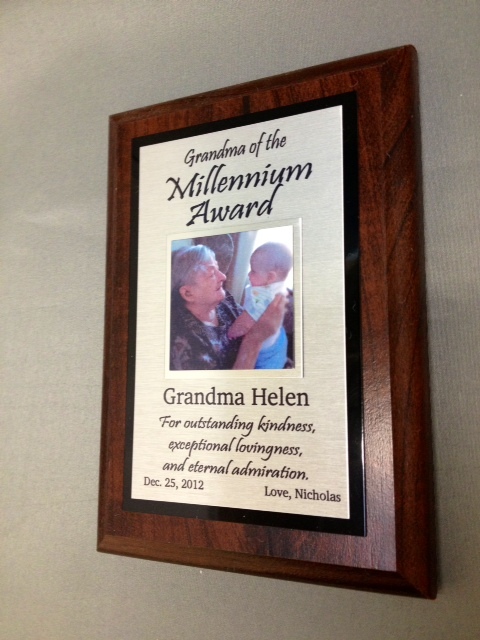 Grandma of the Millennium Award: for outstanding kindness, exceptional lovingness, and eternal admiration. World’s Best Teacher Award: for teaching, caring, and watching over your class. The Foot in Mouth Award: for always saying the wrong thing at the wrong time. The Big Kahuna Award: for the most time spend surfing the internet while you are supposed to be working. Another great gift idea is a custom engraving! An engraved plate added to your gift will send a message from the heart. Recently, we engraved a plate that was placed on a beautiful wooden box. Within the wooden box was a beautiful ring that was given as an anniversary gift. The box reflected the beauty of the ring and the personal message on that box spoke from the heart of the giver. Not only did the plate include a heartfelt message, it also included a hand written signature engraved into the plate. Having your own handwriting engraved onto a gift is a personalization that means so much! Take a moment in your holiday season shopping mayhem to look at the gifts you have purchased. Do your gifts speak from the heart? A personalized touch included in your holiday gifts will truly show your friends and loved ones how much you care! Happy Martin Luther King Jr. Day from Tag UR It! inc.! Find a little inspiration! What are some of your favorite quotes? Custom inspirational products from Tag UR It! inc.
Never give up! It may take a little time…. but with effort, passion, and perseverance, you can make all of your dreams come true! What are some of your favorite quotes? Leave a comment below and share some quotes that inspire you! I love quotes! Sometimes a little inspirational reminder is all it takes to turn a bad mood around or keep you going when you’re having a rough day. A few inspirational words, the photo of a loved one, or the thoughts of a wise person in the form of a quote can be that perfect reminder to put smile on your face. Here at Tag UR It! inc., we offer many ways to show off what inspires you! Tag UR It! Inc. is on the road to great success!!! The entire Tag Team is thrilled to be so busy everyday! We are on the road to great success as a leader in our industry. Keep busy and success will be yours also! Tag UR It! 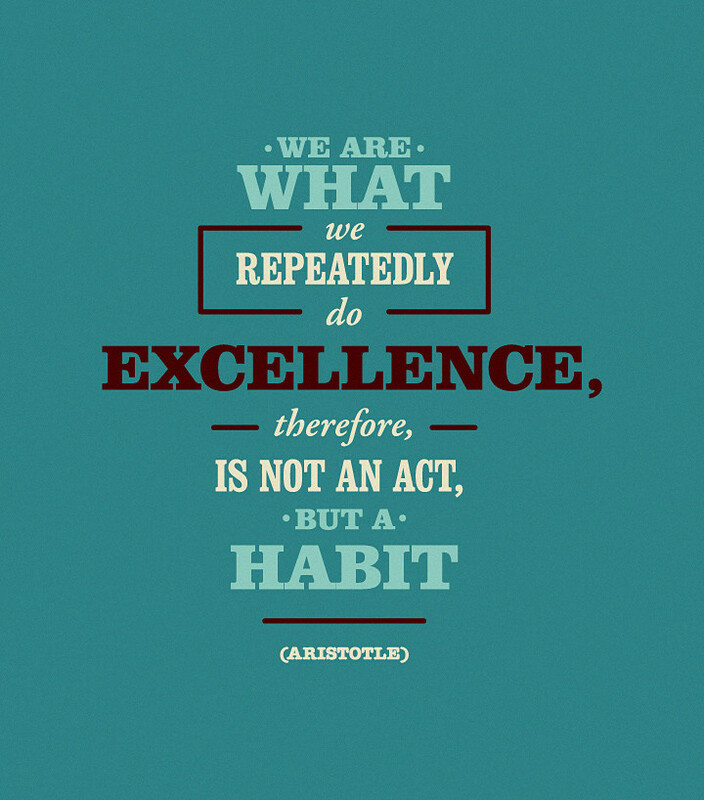 Inc. makes excellence a habit everyday. A Magical Moment in the Happiest Place on Earth, Disneyland! …and the name tags all around! What a week for the Tag Team! As a member of the Tag UR It! Inc. team, currently living 3000 miles away from the Tag Headquarters, I was so excited to have the opportunity to spend this week in Southern California. I have spent the last few days with the Tag Team of Catheryn and Heidi, experiencing some of what Southern California has to offer and enjoying some much needed fun. My first night in sunny California was completed with the best dinner I have ever had. Catheryn and Heidi took me out to the Capital Grille in South Coast Plaza, Costa Mesa. I had no idea what a treat I was in for! The Capital Grille’s elegant dining room provided an amazing, sophisticated atmosphere. We were seated next to the wine room, able to admire the many varieties of bottled wines in their glassed in center room. After being seated, our wonderful server came over and introduced himself. Of course, we looked upon his name tag and learned his name was Lorn before he even had a chance to open his mouth. Lorn could not have been a more perfect host during our dinner. His recommendation of the Lobster Mac-N-Cheese was spot on! I am a Rhode Island girl and have had quite a bit of lobster in my life. I can definitely say this was one of the best dishes I have ever had! The dish is made of a baked Campanelle pasta and fresh Lobster meat, tossed in a Mascarpone, Havarti and Grana Padano cream sauce, topped with Panko bread crumbs and grated white cheddar. (www.thecapitalgrille.com) It is listed as a side dish but we shared an order as an appetizer before our amazing main courses. Lorn was so helpful and friendly, making our dinner and experience one to remember. It wasn’t until after our amazing meal that I realized that the Capital Grille has locations nationwide, including one in my home state of Rhode Island. I will surely be visiting the Providence location upon my return home! 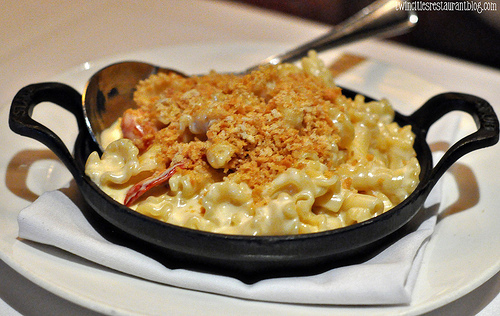 I am already craving another serving of Lobster Mac-N-Cheese. 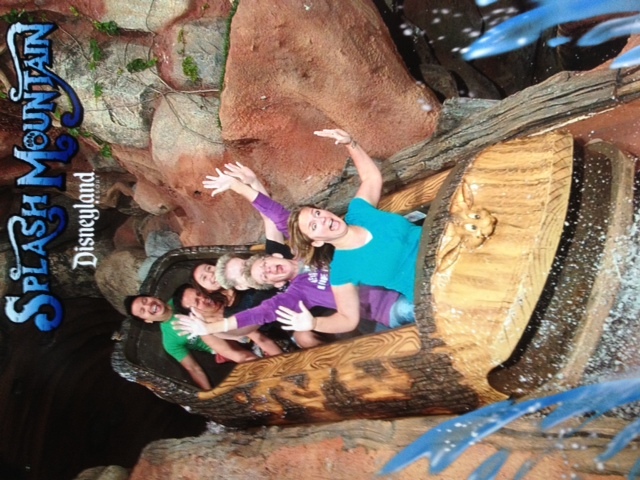 Tag Team takes on Splash Mountain! I have always been a princess at heart. Yesterday was a truly magical day. The Tag Team was in major need of a happy, excitement filled day. Our day in Disneyland was picture perfect! 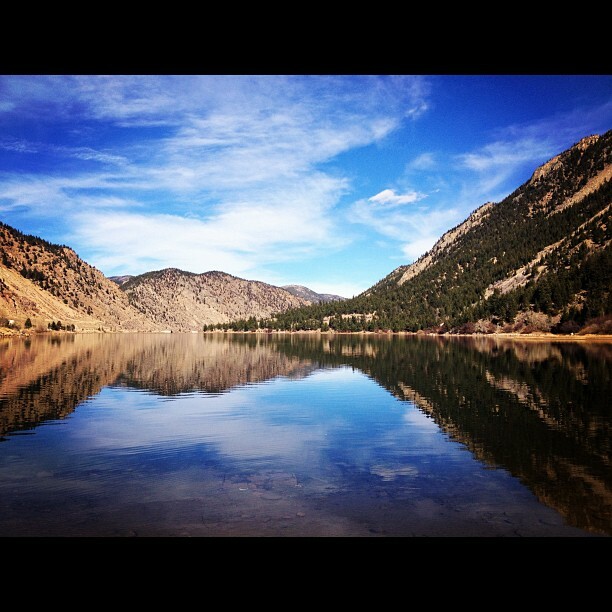 The sun was shining and there wasn’t a cloud in the sky! Catheryn and Heidi picked me up bright and early to arrive at the park before it opened. As the opening music filled the air and the gates opened to the firsts guests of the day, we rushed in and ran to our first ride! By 10am we had been on the 5 biggest rides and were eating breakfast! After enjoying a Mickey Mouse shaped pancake, we were in search of another new and exiting ride to check out. I noticed the big yellow submarines of the Finding Nemo Submarine Voyage and was intrigued. There was a 75-90 minute wait so we decided to ask about obtaining a fast pass. A very kind cast member named Robert came over to us and asked if he could answer our questions. He asked me where I was from and Catheryn told him that I was visiting Disneyland for the first time. He informed us that the Submarine Voyage did not accept fast pass and of course we were a little bummed out, which he could probably tell from my face. I was having such a great day, I would have waited in the 90 minute line and have been thrilled to ride the submarine! But instead, Robert asked us if we had ever heard of a Magical Moment. A Magical Moment can be granted by any member of the Disneyland cast. Robert gave Catheryn, Heidi, and I each Disneyland badges and escorted us around the line of hundreds of park guests waiting to ride the submarine. He granted us a Magical Moment as we skipped the line and had a great time with Nemo and his friends exploring deep under the ocean on our Submarine Voyage. What an amazing experience! Definitely a memory I will never forget! A name tag creates a memory. Two amazing memories were created with the help of two amazing staff members we encountered in the last two days. It is because of the name tags each of those staff members wore that we were able to make a personal connection with Lorn and Robert and will remember the two staff members who made our dinner at the Capital Grille and our trip to Disneyland so very special this week.